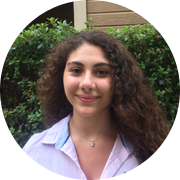 The Winner of ChameleonJohn $10,000 University Scholarship in 2015 is Katherine Mavrommati from Cupertino, CA to study Biomedical Engineering at the California Polytechnic State University. We have asked her a few questions about her experience raising funds for her studies in the USA. Check her answers out! I take full advantage of the sunny California weather and go on hikes with my friends either at the mountains or the beach. I played the piano for more than 10 years but I couldn’t take the piano with me to college. I recently got myself keyboards and I am now re-united with my old passion. How did you feel when you found out you won the $10,000 scholarship? I feel so blessed that I won the $10,000 scholarship. After I received the email from ChameleonJohn that there were 1771 applicants I was very intimidated and definitely did not expect to win. It was a huge surprise for me and every time I remind myself that I won, I get even more excited. It was a pleasure to answer the questions that ChameleonJohn’s scholarship asked. They were phrased in such a way that I felt like you were genuinely interested in my future goals and motivations. Most of the private scholarships that I had to apply to linked their questions in some way with their business, which makes the applicants’ responses impersonal. What part of your tuition fees will these $10,000 cover? This scholarship was very important for me because it covers my whole tuition for one year at Cal Poly. This means that I don’t have to worry about not being able to register for classes, which relieves me and my mother from a lot of pressure. I still have to finance my living expenses but with the government financial aid received, some savings and hopefully more scholarships or internship opportunities I will be able to finance my whole year at my university. This scholarship was a true blessing. If I hadn’t received it I would have had to take some loans to finance my education. I would also have to find a job either on campus or outside of campus which would not allow me to take as many classes as I would like to in order to graduate on time. I have been very fortunate to finance my education up until now with different scholarships but it was not an easy job. Gaining scholarships requires dedication and determination. There are a lot of available scholarships throughout the year so as an applicant I have to constantly check various websites with listings of scholarships and their deadlines. Many websites have an email list, which I joined and get regular updates regarding available scholarships. Also, it is important to be able to convey your motivation for achieving your goals in every essay that you have to write. This is what makes you unique and separates you from the rest of the applicant pool. Make sure to complete the FAFSA application every year. Even the smallest financial aid received makes a difference. Furthermore, internships can be a very beneficial source of experience and income. Most internships are well paid and there is no better way to raise money for our education than gaining experience in our own field. The summertime is a vital period as we have a lot of spare time to either get an internship or get a summer job. This money can go towards next year’s housing. I believe it is important to have a vision and a plan to make it happen. Being able to convey that is very important because it shows determination. Also, it is important to be creative and try to think outside the box when responding to the questions. The best way to do that is to respond genuinely and not according to what you think they want to hear. Turning ideas into actions is what I do best. I did it in high school, when I set up my own non-profit organization called IMPACT Youth Network which facilitated the youth to take initiative and make a change in their community. Making an impact has always been my largest desire. As a Biomedical Engineer at Cal Poly San Luis Obispo, my desire has turned into one goal, which is to start my own company of affordable, high quality prosthetics for children. Currently, prosthetics are expensive and are considered a luxury to handicapped. Living in the heart of innovation, I find it unacceptable that we haven’t found an affordable way for handicapped people to be able to have a normal life. Especially children, who outgrow their prosthetics so fast, it is important that prosthetics are affordable and well designed to enable them to reach their absolute potential. My studies of materials and biomechanics will enable me to turn my idea into an action and make a true impact on my society. I was fortunate to be raised by a strong, independent woman who sacrificed everything to ensure I received the best education and achieve my goals. As a single mother, my mother has faced many difficulties trying to raise me. When I turned 18 I made it my goal to pay for my college education on my own to relieve her of the financial burden. I worked hard to do so by spending my first 2 years at Foothill College, a local community college, and getting scholarships to pay for all my expenses. Now that I am transferring to Cal Poly, I want to do the same. This scholarship will cover all my tuition. Thus, it would allow me to converge all my energy into learning and taking internship opportunities in my field rather than having to combine work and school to pay for college. At Cal Poly I would like to join the Society of Women Engineers and work on prosthetics projects with amputees. This will bring me one step closer into achieving my goal and this scholarship would be my stepping stone. One of my favorite books and movies is “The Life of Pi”. In a beautiful fantasy story, Yann Martel, accomplishes an amalgamation of wild imagination and color with powerful metaphors that encourage success in life. The young Pi has to survive with the daunting Bengal tiger for months. I like to look at the tiger as our weaknesses, that look daunting to us and a lot of times seem impossible to overcome. However, in order to truly move forward we have to stop doubting ourselves and befriend our weaknesses just like Pi befriended the tiger. So as Yann Martel said, “To choose doubt as a philosophy of life is akin to choosing immobility as a means of transportation.” I have this quote encrypted in the back of my mind and refer to it whenever I face difficulties and doubt myself. Living involves acting and making choices, rather than obsessing about what choices to make. That is how I choose to live my life and achieve my goals.